The default category should be setup before you start with the category mapping. The default category shows a dropdown with the required or recommended channel category. 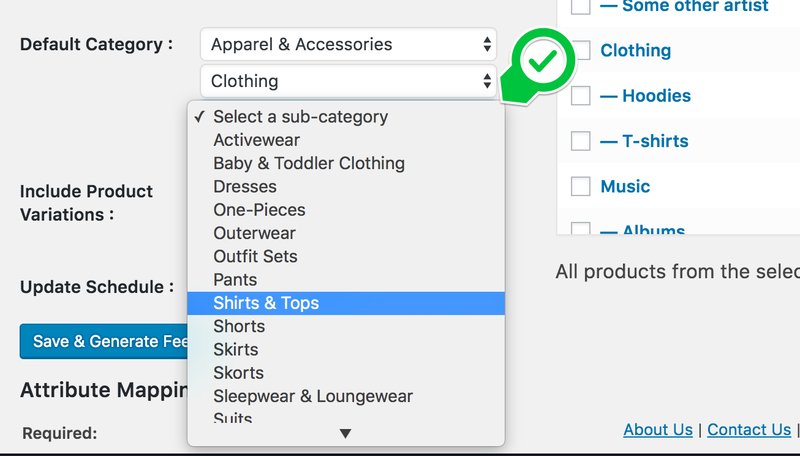 When you choose a category witch has subcategories the subcategories will open so you can find easily the right default categories for your webshop. Choose default channel category for your shop. After you have chosen a default category you can map your shop categories to channel categories. To map the shop categories you click the checkbox next to the shop category you want to include in your product feed. By default the marked shop category is mapped to the default channel category you have set before. 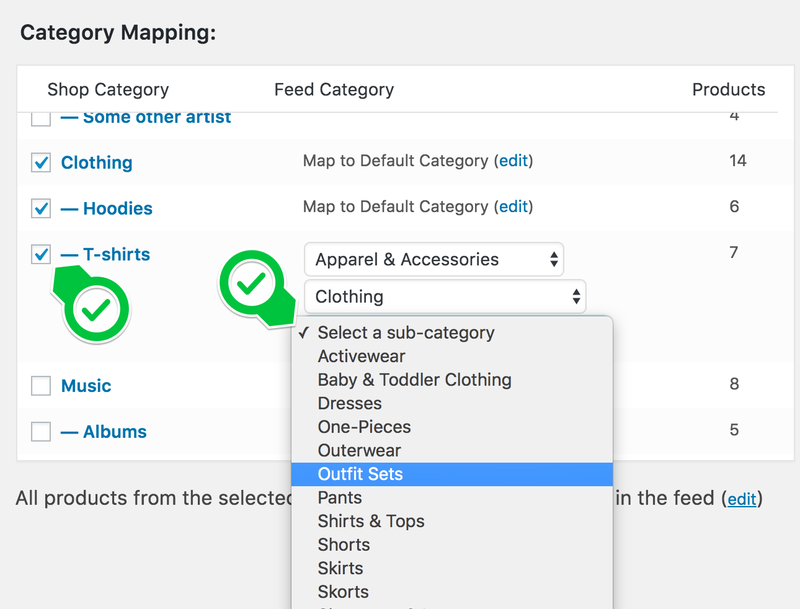 When you click the edit link next to “Map to Default Category” a dropdown is shown where you can change the mapped channel category to a more suitable channel category. You should map the shop categories to at least the default category. If not the products from the category will not be included in the feed. So you should include at least one shop category to create a feed.